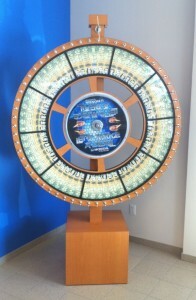 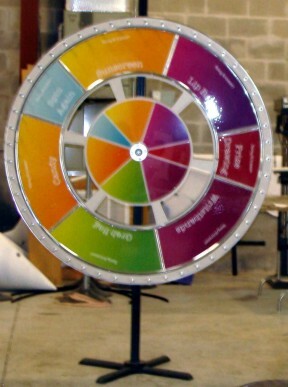 Honda of Bartlesville 60″ Showroom prize wheel w/casino style base. Plexi section covers allow you to insert custom sections on your wheel. 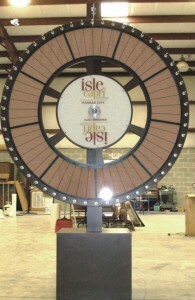 Yes - the templates are included! 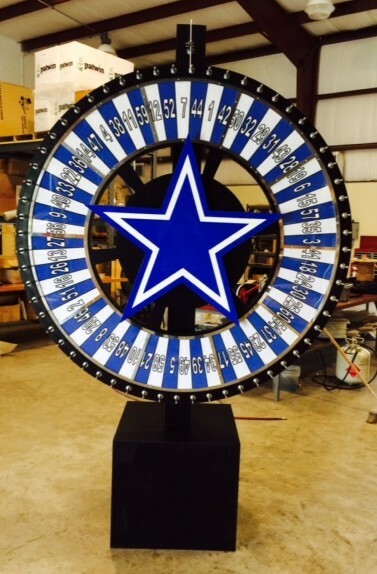 Dallas Cowboys 60″ with stationary center hub and casino style base.